Designated for areas where maximum drainage and all-weather use is imperative, this cellular ½-inch drainage mats are installed directly under the turf. The drain core system can collect and transport as much as 16 gallons per minute. 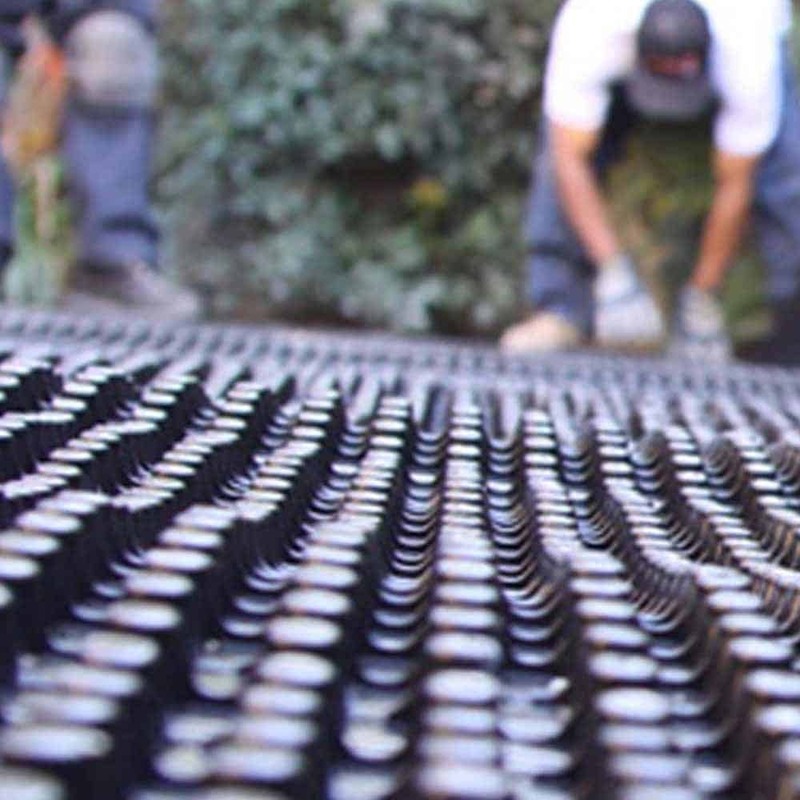 Drain Core is great for applications where the synthetic turf is being installed over concrete. Once the Drain Core is installed, cut and place the turf as you would for normal installations. The edges need to be secured properly to ensure lifting. Why chance for contaminates to penetrate the concretes surface and linger around? Placing Drain Core will allow fluids to be flushed and exited the surface as per the sloped area. Drain Core is designed to replace perforated pipe and stone drainage systems in various applications. It provides a significantly higher flow rate as well as increased ease of handling and installation.